You asked for them. So more outfit pictures are coming your way! 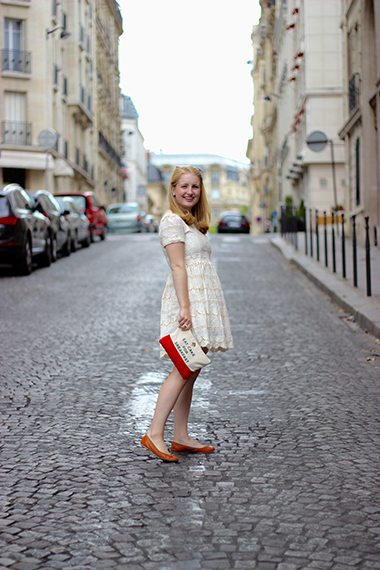 I have to admit, finding a pretty place to take outfit pictures in Paris is quite easy. Around every corner is another historic and beautiful building. I could wander around the city and snap a picture on every corner. I'm in love with Parisian architecture and dream about living behind one of the picturesque brightly colored doors one day. I ordered this dress a while ago and unfortunately it didn't arrive until after I had left for my big summer abroad. Luckily, my mom visited me last week and was able to bring it with her! 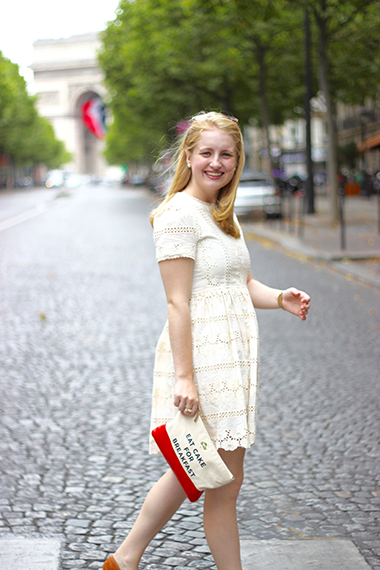 It was a perfect summer dress to stroll around Paris in. It's cream colored lace adds a touch of elegance but it's light weight material makes it a little more causal (It's also on sale right now!!). Luckily my work isn't too formal so I was able to wear this dress one day to work too! It's the perfect summer dress and it definitely has the ability to become a little dressier with the right jewelry and shoes. 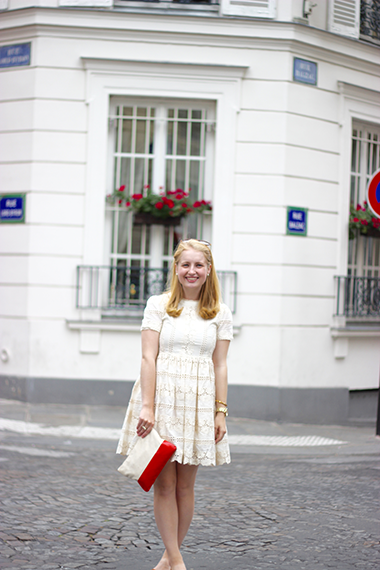 I opted for a more causal look with flats, my everyday jewelry, and a fun Kate Spade clutch! Ohhhh, that dress is so stinkin cute! Love these photos! I have that clutch and it's my absolute favorite!